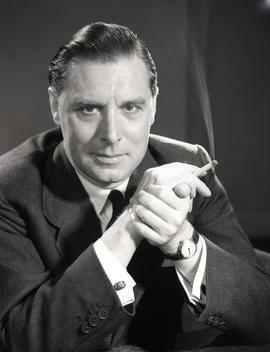 Black and white portrait of John Edwards. Black and white photograph of a piece of jewelry for Joyeria Stad. Black and white portrait of a man, identified as Lottermoser by Fred Schiffer. Black and white portrait of Mirtha Legrand, a famous Argentine actress. Legrand was the stage name of Rosa María Juana Martínez Suárez.